Meridian has a diverse, global team including entry-level Productivity Specialists, Senior Consultants, Project Managers, Operations Managers and Executive-level Directors and Associates. The senior management team spend most of their time in the field, working ‘hands-on’ with our clients and project teams thus ensuring a robust mix of best practice in delivery and providing support and guidance to project staff and our clients. We place great emphasis on development and retention of our talent pool and have a policy of Continuous Professional Development which ensures that the skills and knowledge base of our project team are maintained and up-to-date and that best practice is adopted in project delivery. Each abides by the Association of Productivity Specialists (APS) Code of Ethics. We have adopted the APS Project Management Approach, which has been industry-defining for 42 years, utilising project management approaches recently incorporated into PRINCE2 principles and practices; and change management methodologies encompassing Lean, Six Sigma and TQM doctrines, tailored to suit the specific needs of the client. James Quinn’s experience in the field of productivity improvement spans 28 years, 22 countries, and approximately 600 projects ranging from aircraft manufacturing through to financial services, eventually alighting on the healthcare sector over 18 years ago. His understanding of productivity improvement in the sector is exceptional, gained through roles encompassing: project manager, management & executive trainer, sales executive and chief analyst. Never one to balk at a challenge, he formed Meridian Productivity to focus specifically on this unique market. 250 Acute and Primary Care projects later, Jimmy displays an undiminished enthusiasm for the sector with which he infects his consultants during internal training events and he has an unparalleled insight as to its needs for future viability. Although Elwyn’s role is now dealing with all the company’s administration, accounting and secretariat, his background is unique in Meridian Productivity. He is a qualified microbiologist who spent his early career working for the NHS and he also has a process improvement experience as a productivity consultant and presenting analyst for many of our early projects. This gives him a unique perspective during our Project Board Reviews where the senior management team ensure that each project will deliver the internal and external milestones successfully. As our CEO and Chief Analyst, Gareth is responsible for the overall running of the organisation and Meridian’s analyses across the healthcare sector and local governments. He has experience of working across the whole of the UK (from Isle of Wight to Shetland) as well as Ireland and in Eastern Europe. 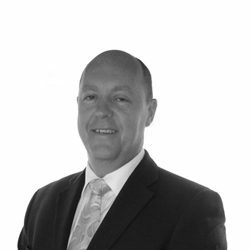 Gareth first joined Meridian in 2009 and has a huge amount of experience having held different managerial and director roles within the company. Gareth also has held similar roles within the NHS in England including managing theatres and anaesthetics and having director roles in Transformation, Delivery and Efficiency. This experience affords Meridian a crucial insight into how the NHS runs from the inside while also informing us how best to help clients progress from a consultative viewpoint. 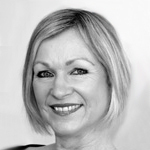 Janine has worked in the UK public sector for 20 years and held a variety of senior and managerial posts. She has considerable experience in both operational and behavioural training. She has developed and delivered many courses in these subjects, both in the UK and around the world. Working for the European Union she managed complex management training projects and delivered Executive-level programmes across Europe, Africa and South East Asia. Her transferrable skills are key to helping Janine develop our internal Meridian staff and also design the bespoke training programmes for our clients which are essential to the successful delivery of our projects. Jenny is an experienced HR professional whose career in Marks & Spencer culminated in her becoming a member of the HR Leadership team with executive responsibility reporting to the HR Director. Her most recent role was as Head of Employee Support, with key responsibilities for People Policy, Occupational Health and Employee Engagement. Jenny set up and led a new HR service to support line managers across the UK with policy advice on all aspects of employment matters and a mediation service to help solve workplace disputes. 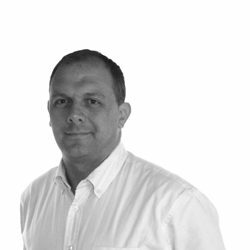 Bob is known internationally as 'The Productivity Guru' and as an associate of the company and a key professional advisor, is heavily involved in all of Meridian's internal training initiatives. 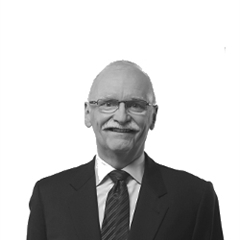 Bob brings with him unmatched experience and an unrivalled wealth of knowledge on all productivity principles. Bob has been in the Productivity Consulting business for more than 39 years. He is currently President and CEO of Jacobson Solutions. He was formerly with IMPAC and is a member of the Board of Directors of the Association of Productivity Specialists. He is certified as a Master Productivity Specialist. Jacobson Solutions is based in Chicago and Phoenix in the USA, and London in the UK.